There’s something very special about Iliesa Delana. It’s not merely that he united the whole nation in celebration when he won the Pacific’s first Olympic Gold medal in London last year. 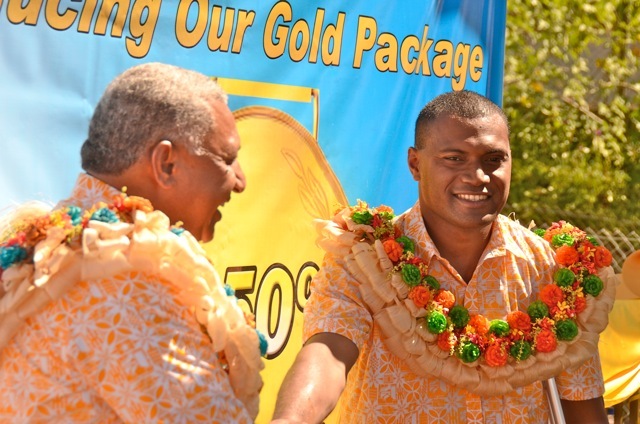 It’s not just that ordinary Fijians come up to him wherever he goes, eager to shake his hand. It’s not just the modest way in which he comports himself in public, even as the Prime Minister handed him the keys to the house built for him in gratitude for his remarkable achievement. It isn’t even because he is such an inspiration to everyone and especially those younger Fijians with physical disabilities. Yes, all these qualities make Iliesa Delana a wonderful role model for our times. But the really special thing is that none of this matters as much to the man himself as his burning desire to do something lasting for his country. And not on the sporting field but in improving the lives of his fellow citizens. A couple of weeks back, I had lunch with Iliesa in Suva and listened, deeply impressed, as he laid out an audacious plan. 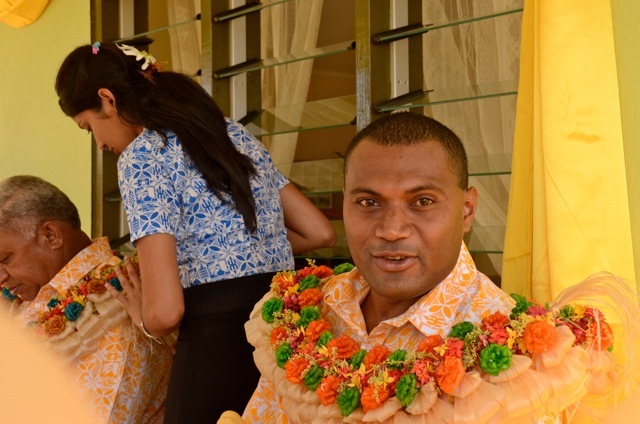 Soon, he’ll be officially launching an organisation called the Iliesa Delana Foundation – Friends of Fijians in Need. The idea is to tap the resources and commitment of ordinary people, government, small business and the nation’s corporations to do a lot more to tackle disadvantage in Fiji. And especially the plight of the many thousands of our fellow citizens who are still living below the poverty line. Iliesa knows that changing their lives fundamentally for the better will be a far bigger challenge than vaulting over the pole to the cheers of 80-thousand people at the London Paralympics. But his ambition is to be more than just a sporting hero. As a disadvantaged person who overcame the odds, he wants to use his fame to try to convince others that no disadvantage is too great to overcome. And especially if Fijians work together as one. I sat there riveted as Iliesa laid out his vision in the softly spoken way that has endeared him to the whole country: “ Winning in London was a big thing for me personally but it was just a sporting event. The main thing is to use my win to inspire other Fijians and make other people’s lives better. Too many Fijians are poor like I was when I was a kid. Too many people are struggling and we have to do a lot more to help them”, he said. No argument there but how? That’s where Iliesa’s friendship with an equally altruistic Fijian entrepreneur comes in – someone who’s enjoyed a successful business career overseas but has returned home with the same passion to help others. Julie Alexander first approached Iliesa to support her campaign – since adopted by the Fiji Police and the Ministry of Youth and Sport – to discourage bullying in the nation’s schools. Then she organised a Christmas lunch for homeless people and the underprivileged in Suva’s Sukuna Park. That, in turn, attracted a number of Suva residents, including from the expatriate community, also keen to share the Christmas spirit with the less fortunate. “I was amazed at the number of people who turned up in the Park unannounced on Christmas Day carrying all sorts of food. They had sacrificed their own Christmases but actually regarded themselves as privileged to help others. That’s when I got the idea that Iliesa and I could perhaps turn this into something much bigger – to tap the spirit of many Fijians to help their fellow citizens and really do something to combat poverty”, Ms Alexander said. And so the idea of The Iliesa Delana Foundation was born. “We’ve called it ‘Friends of Fijians in Need’ because that’s what we are. Those friends can be individuals, businesses, government departments, churches, NGOs, whatever. And those in need can be in need because a whole range of reasons. What unites us is a determination to tackle and overcome that need and improve the lives of the underprivileged”, Ms Alexander explains. A range of projects are being considered, all with the aim of building sustainable livelihoods for those who need jobs or sustainable solutions to some of the underlying causes of poverty in Fiji. But the first priority has been to build a broad coalition of individuals, organisations and companies willing to dedicate time and resources to get the Foundation off the ground. “We want to hear from anyone else eager to help. All sorts of ideas are already on the table. And we already have commitments from a range of companies and individuals keen to be involved”, Ms Alexander said. The Fiji Sun has agreed to be the Foundation’s media partner and other companies are providing a range of services free of charge, such as the establishment of an internet website at www.iliesadelanafoundation.org. “We urge anyone with access to a computer to visit our site and consider joining us in making a difference. You can also contact me directly at julie@iliesadelana.com if you have any ideas that you want to discuss”. The Foundation already has two trustees – the former High Court judge Nazhat Shameem and accountant Anthony Ho. “We’re deeply grateful to have the services of these two highly respected Fijians and are hoping to get others to join them”, Ms Alexander said. The Foundation is also inviting members of the public to a meeting at the Royal Suva yacht Club at 10.30 am this morning ( Fri Feb 1st). For Iliesa, the formation of the Foundation that bears his name has come at a busy time. Today, he begins moving into his new home – the present from the Government and people of Fiji to celebrate his triumph. And he’s begun training in earnest for the next “mountain” that he has set his sights on after London – the Paralympic World Championships in Toulon, France, in July. “I really can’t find words to express the gratitude I feel for the honour of representing my country and being given such a beautiful home. But it’s not enough to just sit back and enjoy it. I want to give something back to Fiji. For me, that’s the most important thing of all”. Thats the spirit. I hope those corrupt politicians who are only interested in lining their pockets read this article over and over till they get it through their thick skulls. This is exactly what the new Fiji is all about. All the best Iliesa and Julie. God bless you. Thank you Iliesa Delana and ‘Friends of Fijians in Need’. Fiji loves you and appreciates all you have done and willing to sacrifice. May God continue to use you as his instrument of peace and hope. Iliesa is an inspiration to everyone in Fiji. Whose deeds are inspirational, on that you can depend. The London Paralympics brought him glory, fame and gold. Who’d think a less advantaged boy could conquer all before him? With quiet resolve he forged ahead, though many would ignore him. With body, mind and spirit focused firmly on the hunt. He summonsed courage, gave his all, then prayed in dedication. He looked towards the heavens, humbly thanking God on high. In crowded streets the people flocked, expressing their devotion. A nation’s pride on show to welcome home a favourite son. Of Fiji’s great achievers in this hallowed Hall of Fame. Iliesa, we applaud you, long and healthy may you reign. reading this web ѕitе’s post to be updated regularly. It consists of nice data. I’d have to check with you here. Which isn’t some thing I typically do! I get pleasure from reading a post that can make people today believe. Also, thanks for permitting me to comment! Everyone loves what you guys aree usualkly up too. the good works guys I’ve incorporated you guys to blogroll.